The Selfie Generation doesn’t do arms control. Its cause célèbre is the environment. This grandparent can relate. I am excited and grateful to see how much youthful energy is now directed toward healing our planet’s wounds. I am also very jealous. My cause célèbre has faded. Fewer and fewer people focus on reducing nuclear dangers. Street marches are now about climate change. Graphic stories of environmental disasters rooted in long-term disregard for carbon emissions, air pollution, and the degradation of water quality are with us every week. A study by the National Climactic Data Center and National Center for Atmospheric Research estimates that the frequency of “billion dollar storms” increases at a rate of roughly five per cent a year, which seems understated. A 2013 report by the U.N.’s Intergovernmental Panel on Climate Change estimates that a rise in temperature of two degrees Celsius will cost up to two per cent of the world’s income by 2050. This UN panel also estimated that the combined cost of crop losses, rising sea levels, higher temperatures and fresh water shortages could amount to between $70 and $100 billion a year. These estimates also appear understated: According to the Natural Resources Defense Council, the insurance industry estimated that climate-related disasters in the United States in 2012 alone resulted in more than $139 billion in damages. The cumulative costs of clean-up after a decade of super storms, droughts, and battered shorelines remind me of the estimated cost consequences for limited nuclear wars back in the 1980s. The United Nations devotes a special summit to raise environmental consciousness and accelerate corrective measures. Back in my day, there were special UN sessions on disarmament. President Obama has made protection of the environment a key priority during the remainder of his second term, while prospects for another strategic arms reduction treaty and the entry into force of the Comprehensive Test Ban Treaty recede further into the future. Young talent entering the work force is now focused on environmental causes, while 48 per cent of the civil servants working on arms control in the State Department near retirement age. On Capitol Hill, champions of arms control issues are dwindling. Non-governmental organizations could also benefit from a new wave of energy. During tough times, it’s always a good strategy to invest in rising talent — otherwise, the future could be more daunting than the present. Unfortunately, major foundations continue to leave the field, and a new generation of techno-philanthropists is drawn to causes where investments can yield quantifiable progress. When political conditions permit, quantifiable progress in reducing nuclear stockpiles and deployed forces is certainly possible, but the most important successes in reducing nuclear dangers are often measured by non-events. The comparison between the number of environmental studies departments and courses now offered at the college level and in graduate schools with arms control-related courses would be striking. But there’s no need to do the math: the conclusions are obvious. Can those still interested in reducing nuclear dangers poach off the energy of the environmental movement? I doubt it. Those with a sense of mission are not easily diverted, and besides, opportunities to work on arms control and non-proliferation are increasingly scarce. Will it take another big scare or a nuclear catastrophe to rejuvenate the field? Which raises the question, which warheads? And why, given that we have so many active and reserve weapons that could be retasked at need? The W-53 would make some degree of sense; at 9 megatons and 2,800 kg it was farther up on the yield-vs-weight curve than anything in present inventory. Could be a deciding factor in a last-ditch, avert-the-apocalypse scenario. Maybe. But those were all allegedly dismantled in 2011, not scheduled for next year. In any event, it would take at least a year to build the bus capable of delivering such a weapon on an interplanetary trajectory, so it seems impolitic to insist on keeping actual warheads in inventory. Detailed designs, raw materials, and contingency manufacturing plans should suffice. My understanding is that these were Canned Subassemblies – aka, the secondary and possibly radiation channel filling material. Not primaries. Which, as far as I think we know, all the W/B53 primaries were dissassembled. This could put the B83 to good use and retire it from the active arsenal. One rocket could hold multiple B83s to increase the odds of successfully hitting the asteroid. There are non-nuclear and non-explosive ways to deal with this eventuality. There are non-nuclear options if you see the collision a long time ahead of time, which for asteroids is a detection and trajectory monitoring problem (unless one is on a near-term impact trajectory and we don’t know it yet). There is a comet threat, particularly new comets, where we don’t have time to do that. Plus, the asteroid tug ideas seem perfectly reasonable but have yet to be demonstrated. Atomic weapons are certainly not the ONLY method to consider; and are likely the worst of the options for most situations, but should be retained in mind and capability for the situations nothing else could handle. You’ll not catch me saying a disparaging word about plasma-thruster asteroid tugs; plasma thrusters are totally my thing, and I’ve done a fair bit of work in asteroid defense strategies as well. Various tugs and tractors are certainly the best way to deal with the next Chelyabinsk and probably the next Tunguska. But against the next Chicxulub, if it comes any time in this century, Bruce Willis is optional but the nukes will be essential. We can’t plausibly build a tug big enough to handle one of those, and even if we could it would require 10-20 years to perform the mission. Large long-period comets, which represent at least 10% of the overall threat, come with no more than 2-5 years’ warning. Absent political concerns, a warehouse full of B-53 secondaries and blueprints for the primary would be a reasonable hedge. Whether we can manage the politics to maintain that capability without too much adverse impact in the area of non-proliferation, is a troublesome question. Lightweight, compact US weapon designs aren’t the right way to start looking at asteroid defense. Dinosaur killers aren’t plausibly effected by any of the little toys we have around to threaten each other. Multiple stage/multiple CSA style designs to get into tens / hundreds of megatons yields that can be assembled in orbit and then placed off the asteroid to boil-off enough mass to modify the orbit usefully are needed. Sakhorov’s approach points the direction needed; the basic question is how many ways can the design be pushed to higher yields. Nuclear standoff explosions are assessed to be 10-100 times more effective than the non-nuclear alternatives analyzed in this study. Other techniques involving the surface or subsurface use of nuclear explosives may be more efficient, but they run an increased risk of fracturing the target NEO. They also carry higher development and operations risks. In 2011, Bong Wie, director of the Asteroid Deflection Research Center at Iowa State University, studied strategies to respond to a threatening asteroid on short notice of a year or so, and determined that to provide the required energy, a nuclear explosion is likely the only thing that would work against a very large asteroid in this short time frame. Other systems designed to divert an asteroid such as tugboats, gravity tractors, solar sails and mass drivers require 10 or 20 years of advance notice. Thanks for helping me understand this problem better. PORTSMOUTH — About 300 employees at Norfolk Naval Shipyard have been placed on restricted duty after officials there discovered that the workers had been given credit for nuclear training that they had not actually attended. Eight employees responsible for administering the training have been reassigned pending the outcome of an investigation, said Jeff Cunningham, a shipyard spokesman. The revelation comes a week after The Virginian-Pilot reported that the shipyard had halted all nuclear work after civilian workers, on two occasions, improperly handled potentially radioactive equipment. The discrepancy in training was discovered following an anonymous tip and was not related to the ongoing investigation into the previous safety lapses, Cunningham said. One commonality is global climate change. A regional nuclear war is predicted to bring about a severe global cooling, resulting in reduced food production and starvation of 1-2 billion people. 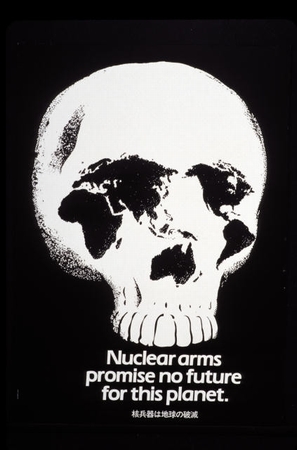 A global nuclear war would be far worse, both humanly speaking and environmentally speaking. Studies of the nuclear winter phenomenon are not popular at the moment, but should be strongly encouraged and publicized. After the Cold War ended, we frittered away a significant opportunity for a radical reduction in nuclear arms. The fear of nuclear war was still fresh in people’s minds, while the political climate had changed enough to allow serious negotiations, trust, and verification. Unfortunately, we prioritized other matters, rather than the planet’s fate. Despite the enthusiasm of environmentalists, the serious problem of global warming remains poorly addressed. We keep drifting and pretending, rather than take effective measures to address fossil fuel usage. So which is it, do we allow global warming or nuclear war to destroy the earth? Or do we take effective action to avoid both man-made calamities? Listening to Jonah I have to take a basic contrarian view to sensationalizing things. While I certainly have looked at the TTAPS and other nuclear winter scenarios; Krakatoa, Tambora and other VE6+ eruptive events inject vastly more material into the stratosphere than the worst case models I read. It’s clearly a bad idea to engage in nuclear exchanges but the onset of climate change isn’t the first issue to bring up. The US held ~30,000 warheads in the 1960s, the Soviets peaked ~40,000 warheads in the 1980s; since numbers are in the range of 10-12,000 combined today, I don’t see that as ‘missing the end of the cold war’ entirely. While the numbers aren’t zero, the long term trend is very favorable and the policies stated are a lot less threatening than the bad old days of Soviet tank armies and stated NATO response in the Fulda gap. Take heart and pursue achievable goals with realistic expectations as to the difficulties of changing people’s perceptions. Finally; as to the ‘satanic gasses’ and anthropomorphic climate change: A lot of bad science gets played out in front of an ignorant public creating religious extremist-like reactions. Does anthropomorphic warming exist – yep; I can assure you that by increasing optically thin gases like methane, ammonia, the NOx’s and SOx’s; human pollution is changing radiative transfer between the surface and space. As to whether the long term temperature trends more accurately represent CO2 abundance or acreage under irrigation (with attendant evaporation of the #1 greenhouse gas, H2O) ought to be a subject for serious peer-reviewed scientific modeling and analysis (I favor a combination). In any case; global warming isn’t an existential threat to the planet; it’s constrained to making life much less pleasant for our offspring. To the best of my awareness, the vast majority of scientific literature supports the concept of nuclear winter/nuclear cooling. If there is a scientific reason for doubt, I would hope that qualified skeptics get busy on their scientific publications. Here’s why it matters: Regional nuclear war, maybe 20 million dead (mostly in India and Pakistan); nuclear climate cooling 1-2 billion people dead (mostly outside India and Pakistan). Global nuclear war, maybe 300 million dead; nuclear winter maybe 5 billion people dead. The difference between just plain nuclear war and nuclear war plus climate change is an order of magnitude. It is not simply a minor after-effect that we can safely ignore or agree not to talk about. As warming increases, geoengineering will look increasingly attractive, and among the proposals will be mad scientist schemes involving (possibly exotic) nuclear devices. Jonah; you may be looking at climate induced crop destruction to increase the horror level but your kill levels from nuclear exchanges are easily an order of magnitude too low. Due to widespread urbanization and limited stores of foodstuffs in immediate proximity to consumers; destruction/disruption of the distribution networks will kill survivors vastly outnumbering the directly effected persons. Scavenging for food in the midst of fallout is certainly horrible enough to discourage nuclear exchanges regardless of the crop yields next year. J_kies, I am simply trying to assess the truth about nuclear winter. My numbers of 20 million and 300 million initial dead are only notional. Even if we doubled or tripled these initial numbers, there would still be plenty of room for nuclear famine to kill billions more. I, like many in the “second generation” of nuclear weapons and arms control analysts, spend a lot of time trying to mentor the third generation. My concern is two-fold. First, as you noted, the number of people who find the issues compelling is declining. Rapidly. Second, and more important for me, those who do approach the issue seem to do so with only partial understanding and knowledge of field. Those who favor rapid or complete disarmament dismiss, nearly totally, the role and value of nuclear weapons in deterring major power war and the costs to humanity if such a war were to occur, even if it remained conventional. They seem to have missed the pictures of Dresden, or Tokyo, or the Central African Republic (no, I don’t think nukes have a role to play in CAR, I’m just pointing out how devestating conventional war can be on a humanitarian level). Those who favor the infinite retention of large numbers of U.S. nuclear weapons dismiss, nearly totally, the magnitude of destruction and horrific effects that can be caused by even small numbers of nuclear weapons. They seem to have never seen a picture of Hiroshima. I believe it is our job (my job?) to provide the full picture to those entering the field, so that they can at least understand the positions of those on the other side of the debate. But the real problem, and one I can’t imagine a solution for, is the absence of jobs with incomes that can support an analytic career. Our training and mentoring may win these scholars and activists post-docs, internships, and fellowships, but those won’t last for long and they certainly won’t support a family in the long term. As long as we, as a nation, refuse to fund real work on these issues in government and civil society, we won’t have any jobs for the next generation. I know when I retire (within the next 10 years) my organzation will not replace me or my knowledge. There are too many other issues to cover, and not enough money to pay for all the people who cover them. Serious nuclear weapons arms control was always a dimension of the military-political structures when the country was a bit wiser. Freezing numbers and building down was a means of solidifying slow changes in a world order we were comfortable with. Unless the cult of anti-civic greed focusing on reducing taxes (when we already have the lowest actual tax rate since the 1950s) steps off the podium to allow a refocus of the Federal Government on assuring both the military and fiscal security of the people; I believe the fine work will be orphaned. Its important to remind people that Treaties and DTRA eliminated more threats to the persons living and the species overall that the rest of the Department of ‘Defense’ efforts combined. Despite of accidents at Fukushima, and Chernobyl nuclear power is still considered to be the safest option for power generation. The cost effective benefit, reliability, and safe mode of operation cannot be denied. Despite of lurking fears among many people, international community, and non governmental organizations,raising their voices against the use of nuclear power, importance of nuclear power in the field of fulfilling the rising global energy demands cannot be ignored. Its just it requires safe maintenance and ope rationalization. Arms control and Disarmament domains are just limited to the words because of the increasing discriminatory policies of the major powers in these domains. The very basic problem which entangled with ‘Nuclear’ is its dual nature. On one side we get shocked with the horrors and on other, we take it as an environment friendly source of energy. Despite of number of accords and efforts, we are still far behind from the word disarmament or let say arms control. Although we are much aware now a days than in the past but we all stuck with certain basic questions. Should we go for more nuclear? Can we ever be successful to free world from globe? Nuclear energy is an answer to our energy woes? Apart from all this, the distinctive feature of deterrence with nukes marked a credible notion. I believe there will always be young people to fill the ranks in nuclear arms control and non-proliferation. Yes, it is not as trendy now as global warming, oh, I mean climate change… but it is still the greatest threat to mankind. But I am sure you are correct in your observations, you would know firsthand. Outside of the non-profits, the State Department, and academics, I don’t know of a way to increase the number of jobs in the field. Perhaps an increase in media available on the subject would create more interest and more social recognition and provide a stimulus to the subject. I remember the impact that “The Day After” had on me. Senior Research Fellow with the Norwegian Defense Research Establishment, Kristian Åtland, says to BarentsObserver that if the figures are correct, it means that 81,5 percent of Russia’s sea-based strategic nuclear weapons are deployed at the Kola Peninsula. “If this is correct, it means that the number of sea-based strategic nuclear warheads on Kola has increased by 32 percent since last year,” Kristian Åtland says. “It also means that 81,5 percent of of Russia’s sea-based nuclear weapons, 422 out of 518, is deployed at naval bases on the Kola Peninsula and only 18,5 percent, are with the Pacific fleet,” he says. The defence researcher, however, says this could change over time, since some of the Borey-class submarines are planned to be based with the Pacific fleet. “There is no doubt that the long-lasting period of disarmament now has changed to rearmament,” says Kristian Åtland. Journal of Geophysical Research vol 112 (2007), D13107. Jonathon – thanks for the link; I had reviewed several of the earlier reports, the innate problems I see are still with the initialization / starting conditions. Advance apologies to those not interested in radiative transfer, particle behaviors and atmospheric transport mechanics. Black Carbon (BC) submicron unit particles are an extremely mass efficient means of increasing atmospheric opacity e.g. a marvelous theoretical tool. Experimental experience suggests unit particles are rare / transient in real smoke populations as adhesion/clustering mechanisms are extremely efficient. Conversion of cities / structures to BC is an intersection between the structure organic mass-fractions and the fuel-rich combustion environment that yields BC. Hamburg and Dresden in the 1940s represent the application of more structural wood than current practices, Tokyo was essentially a tinder-box; none of those firestorms were reported as having major plume injections into the Stratosphere. The two nuclear blasts certainly did have convective cells punching into the Stratosphere; but the fires were less persistent than the non-nuclear events and persistent smoke transport into the stratosphere was not reported. While forest ‘firestorms’ have been reported as generating convective cells that do access the Stratosphere; the relative mass efficiency of conversion of forest organic mass to stratospheric unit BC particles is a key question. Modern / contemporary cities are less ‘combustible’ than the cities that experienced historic firestorms. Direct injection of sulfur dioxide and fine rock particles via the primary volcanic plume into the stratosphere is not in doubt. Effective estimates of total injected masses have been attempted via remote sensing techniques on the plume; recent historical events provide suitable scalars for the mass injections of larger volcanic events with observed world-wide thermal excursions. Tambora in 1815 produced a significant ‘winter’ via how many tons of aerosols? It’s dubious that human warfare could replicate that mass injection or even a scaled fraction but the model predictions of cooling vastly exceed the historically observed anomaly in 1815/6. Why? J_kies, Thanks for the further elucidation on your concerns. It sounds like you mainly believe that not enough smoke will go into the stratosphere to generate nuclear cooling or nuclear winter. But if the smoke did get up there, the latest model runs suggest it will stay up there for 10 to 25 years, wreaking long-term havoc on food crops. Are there any scientific papers that corroborate your concerns? The 2007 paper Jonathan cited has been out there for 7 years now, but I see no race among scientists to refute it. If the paper’s conclusions are incorrect, I would hope somebody would write a paper explaining why. Jonah; while I have the educational background and professional practice in such topics where I have the expertise to criticize the assumptions, I am not getting paid to ‘debunk’ studies. Practicing scientists don’t leap to author papers to refute other papers without resources to support that work and crawling into the historic studies on the firebombing of cities isn’t something people find enjoyable. Long term temperature excursions make civil defense arguments against short term nuclear fallout effects entirely futile. I assess the sovereign argument against civil defense as the economic drag of wasted opportunity costs (Imagine a civil defense program to shelter and feed say 25% of the at risk population for 90 days). With current urbanized populations with limited local foodstuffs; destruction/disruption of the transport and distribution system in nuclear conflict will kill most of the people served by the disrupted logistics by starvation rapidly. Starvation is the immediate result; if correct, climate change approaches an extinction level event. Obviously, I am not suggesting that anyone in particular must perform the needed studies, but somebody with a bit of ambition needs to study this. If the study requires a bit of funding, perhaps a grant application is needed. I have to assume that the nuclear winter people probably got funding from somewhere; would-be critics of nuclear winter should also be able to find funding. In the absence of scientific studies that defeat or modify the nuclear winter hypothesis, I am forced to assume it must be true, while acknowledging some chance that future studies may defeat the hypothesis. The difference between nuclear war with and without nuclear winter is a serious order of magnitude. It impacts greatly the cost-benefit analysis of risking nuclear war, whether this risk be for purposes of nuclear deterrence or for nuclear coercion. Surely it is worth someone’s while to fund and perform a study of that risk? China has already tested Dongfeng-31A, which also has a 10,000 km reach, capable of targeting Europe and the West Coast of the United States. But the latest version may carry additional nuclear punch because it may be capable of mounting multiple warheads, unlike its earlier variant which can strike with only three warheads. OAK RIDGE — It was a sunny autumn day almost too nice for destruction, but that was the scene Wednesday as heavy machinery gouged holes in the K-31 building and a crowd of onlookers gathered for the latest milestone in the post-Cold War cleanup in Oak Ridge. The 750,000-square-foot K-31 was part of the post-World War II expansion of the Oak Ridge complex, becoming operational in 1951. It was shut down in 1985, as demand for enrichment services declined and the Department of Energy began shutting down some of its gaseous diffusion facilities, which required lots of electricity. The newly released 19-volume transcript expands on a redacted version published soon after the hearing, in June 1954 (A twentieth volume includes instructions for preparing the 1954 document for public release). Oppenheimer’s legacy benefits from the new declassification, but it was arguably secure even when the physicist was still alive: Nine years after Oppenheimer’s victimization, the Atomic Energy Commission awarded him the prestigious Enrico Fermi award. The bigger victory may go to critics of official secrecy, since the government has offered no explanation for why the release had to wait over 60 years. In August the Department of Energy also declassified the “Manhattan District History,” a multi-volume work on the project commissioned in late 1944.